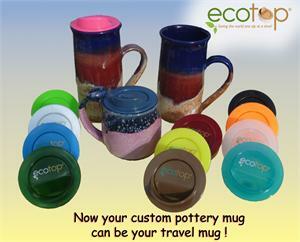 The ECOTOP is a revolutionary patented product which enables you to turn your favorite mug into a travel mug. 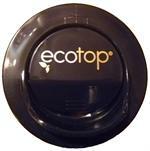 We have designed our travel top for those of you who are 'on the move'. 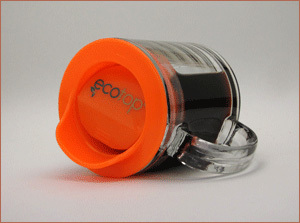 It has been designed to reduce spills in the most unstable circumstances and, once closed, can be carried at virtually any angle. 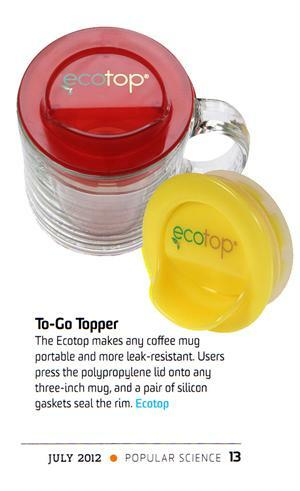 An 'ecotopped mug' may also meet the requirements of the new open container laws. 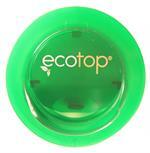 Fits most 3" diameter containers. 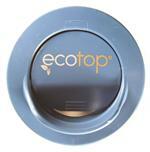 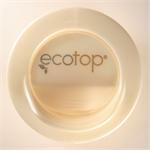 Simply place your new ecotop on your existing container and take it “to go”! 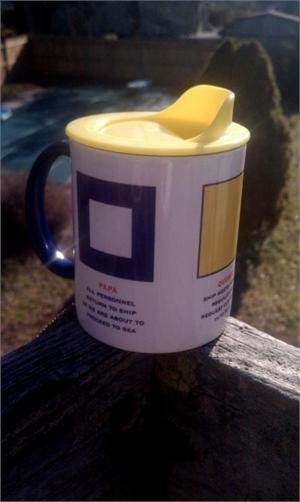 (on our facebook page)... thanks !